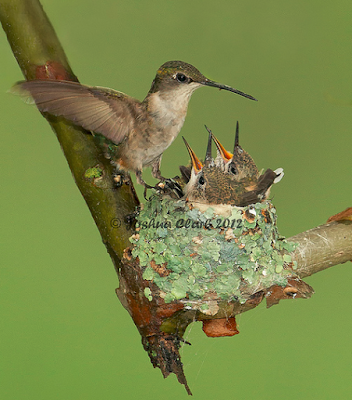 Darla M. Sands: It’s Hummingbird Season! 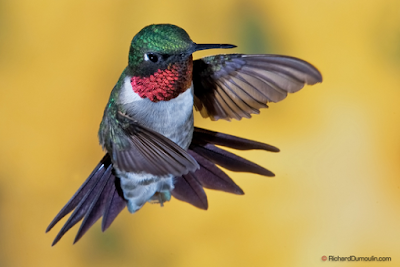 I love hummers! I moved here in this house about 26 yrs ago. I would say for the last 20 I have had some come around and hang around all summer. I have only had a couple at one time but my brother has a mess load. I love watching them, hearing them and photographing them. I also read many yrs ago that they have a route they follow daily after they stop from migration. They will follow that route all day every day. That is one reason why you will not see them stop and stay for long. They will travel from this yard to this yard and then that yard and it might be hours before they show at your place again. They are amazing. They do follow routines, it seems, from all I've read and seen. And the little beauties are amazing. ~grin~ Happy Birding! I love hummingbirds. We feed them year around. A few in the winter, but in June, July and August it's all we can do to keep them in sugar water. We have six large feeders and they will be empty in about three days. Wow! That's cool. Take care, my dear. It seems like everyone has one of those feeders nowadays. They are popular birds. They are fun. ~grin~ Be well, my dear! Excellent tips. I didn't know it doesn't have to be heated, that will save me a lot of time. Ours won't be here until May. My hubby is really good about keeping it clean, he has a tiny brush for it. Thank you for the kind word. I'm thrilled to save you time and so happy your husband is so dedicated. Best wishes to all your furred, feathered, and human loved ones! I bet you get quite a few in your part of the country, too. ~hugs~ Hope you see lots this coming season! 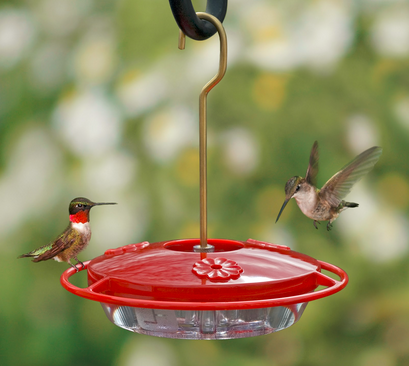 That's amazing information about feeding hummingbirds. You certainly educated one person - me! I'm so glad! Be well. And thank you for visiting.